Deep down in our souls, with the exception of the most hard-hearted, most of us know that all people should be able to receive life-saving medical care. If people cannot afford basic services, their help should come from charity. If we were allowed to keep more of our income, we would have more money available to donate to charities. Insurance mandates and other bad public policies have driven up the price of medical care to a point where these expenses escalated disproportionately beyond the rate of inflation. 1.) Do you believe insurance premiums will go up or down? 2.) Do you believe the cost of health care will go up or down? 3.) Do you believe you will have more money in your bank account or less money in your bank account? Our like or dislike of Obamacare is reliant on our imagination of what the future will be like and in which economists who we place our trust. This is a very expensive experiment that has the potential to alter health care as we know it. Europe has offered the world a model so that we can observe what happens when the government interferes with free markets. I remember when my sister was going to the hospital in France to have a baby, where they have more socialized medicine. She was told to bring her own sheets and clothes for the baby to wear while in the hospital. Bigger government and more third party payouts only exacerbate the problem and foster a greater culture of dependency. We need to return the medical care industry to free market principles for it to become healthy, strong, consistent and fair. When governments back off from trying to control our lives and start encouraging more price structure integrity, transparency, competition and thrift, people will have more confidence in themselves and be empowered to take responsibility for their own health care options. The heart of the question is surrounded by the foundational question of, “Who” should run the system, more than “How” it should be done. When our country wants to start moving toward policies that bring more balance into our system, we can continue to enjoy the best health care system in the world. At the very least, we expect our government to protect us from tyranny. The US Supreme Court declared that Obamacare is a tax, but what is taxation? It is when the government takes by force something that belongs to you that you would not have given up voluntarily. Many are asking how government can get to a place where it causes more harm than good to its citizens. “The power to tax is the power to destroy.” – What does that mean to us today? This helpful video describes the problems embedded into medical mandates. The impetus behind the mandate was a latent hostility and disdain toward the uninsured. Many people think Obamacare is the same as universal health care, but it really is an expansion of medicaid and still allows those without insurance to continue to be uninsured. It may actually increase the numbers of those without insurance because when the insurance premiums increase, it will be less of an incentive for people to purchase their own insurance. 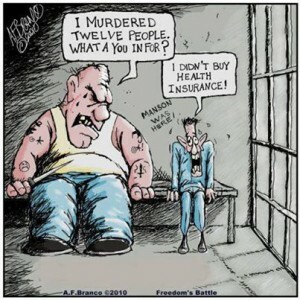 Insurance subsidization is moving us closer to socialism. 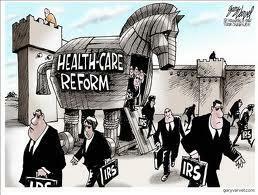 Even without Obamacare, over 50% of all health care expenditures are already paid by government. The Congress gives employers tax breaks for paying insurance, but taxpayers don’t get a tax deduction if they pay for it themselves. How is that for being a public policy designed to manipulate behavior? This video does a great job of explaining how our “employer based” system became a root of our current anti-free market dynamic and can entrap people into staying with one employer just to maintain insurance. As your next Lieutenant Governor, you will have someone in office who is willing to continue to call out national government when it encroaches on our rights.